I thought there should be another thread, specifically for those of us who have no coins to trade. I found this to be a fascinating article. 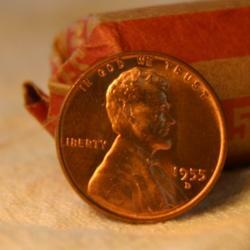 I had no idea there were so many variances in coins over the last couple hundred years. Thanks for the great information, Jon. Know what I really can't stand?? All those State quarters. I like the feel of the old ones, especially with the ribbed edges. You could know it's a quarter without having to look to be sure. I sometimes have to decide whether it's a quarter or a nickel before I spend it. Is it just me? ?